What’s Included: 8 nights, daily breakfast and dinner, group transfer from and to the airport; English-speaking guide, support van, bicycle rental, all entrance fees and our famous t-shirt. … if only bicycles had been invented at the time, Hamlet’s old school chums Rosencrantz and Guildenstern might have gotten around on them. Today’s visitors can join the locals on good bike paths and on streets and roads that accommodate bicycles as easily as automobiles. Drivers know you’re there; on another day they might be cyclists themselves. Our route will take us around and about in the pretty island-studded area southwest of Copenhagen, which means a few ferry rides, some fantastic bridge crossings, and acquaintance with a beautiful coastline. Danes, like the English, are always happy to be messing about in boats so the sight of sailboats is frequent. Most coastal villages are small, some hotels have been in business for a couple of hundred years, castles are not unknown. 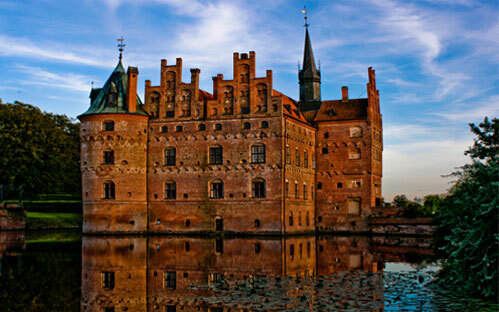 We will have a picnic lunch on the grounds of the castle Egeskov, which still has both moat and drawbridge from its 16th-century beginnings plus a handsome garden dating from more recent past. On another day we’ll visit Valdemars Slot (“Slot” means castle in Danish), a slightly later (17th -century) construction where lavish decoration has been the rule down the years. One of our nights will be spent in Faaborg, once home to Denmark’s largest fishing fleet but now a photogenic seaside town where the location attracts visitors rather than the fish trade. Another is Troense, also on the shore, with thatch-roofed houses and a harbor that accommodates yachts. The harbor town of Svendborg is large enough to have a first rate natural history museum – a possible destination to explore, unless the shops have caught you in. Hills are not frequent, however, and much of our biking is on level terrain with fine views out to sea. This is particularly true on the island of Lolland, rhymes with Holland and has the same flat expanse. Maribo, agreeably situated on an inland lake, is Lolland’s most attractive town and our destination for the night we spend there. What’s for dinner? To say nothing of breakfast and lunch? Danish cookery is very good on seafood, naturally, ventures into pork and potato standbys, does well by pastries and recently has taken a turn with something called New Nordic cuisine, which actually is a look back. New Nordic concentrates on the local, the fresh, the seasonal, a trend encouraged in many other places just now and very satisfactorily resolved here. 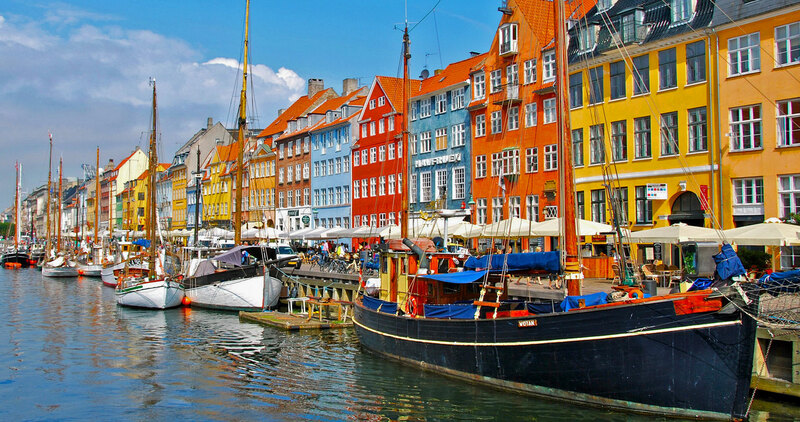 Although Denmark is a less frequent travel destination for Americans, Europeans have long been happy to look to this southernmost Scandinavian country for vacations. The prevalence of bicycling is one of those reasons. 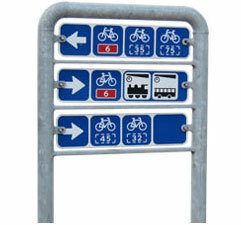 This is a country that likes bicycles, likes bicyclists, and is ready to make things work for them. 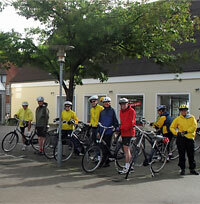 On a bicycle, in Denmark, you’re as at ease as in the Netherlands, another famously bicycle-friendly land. Our trip, in high summer in a northern land, promises to generate long-term memories.